Noh Sook-Ja (Oh Yoon-Ah) is an insurance investigator and enthusiastic member of a mystery novel club. One day, a homeless man, Lee Soo-Chul (Jo Hee-Bong) dies. Noh Sook-Ja is assigned to the case, because his family will receive a large insurance payout. Meanwhile, Noh Sook-Ja begins to write a mystery novel inspired by Lee Soo-Chul's case. 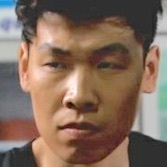 While investigating his insurance case, she begins to suspect that Detective Park Boo-Dong (Cho Seong-Ha) killed Lee Soo-Chul.